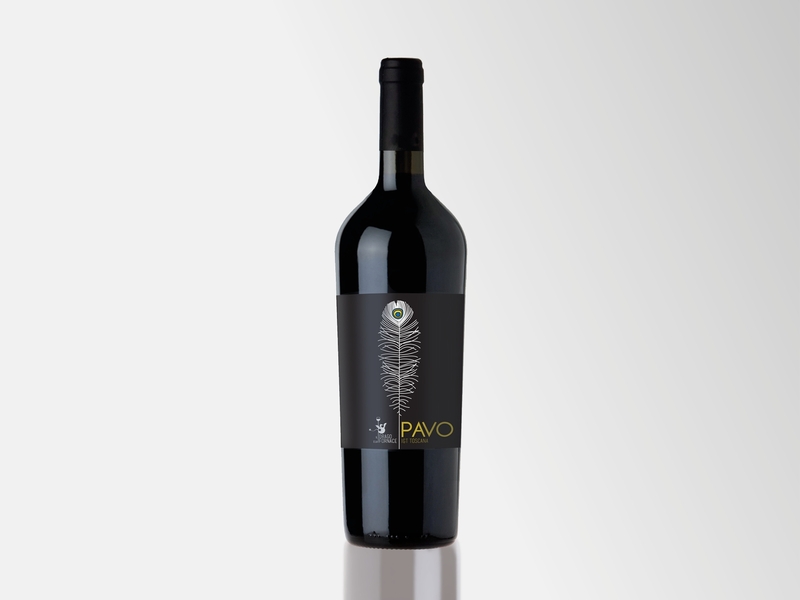 What we like to do while we are designing a label is to create a link with the company’s history, place or elements of affection. 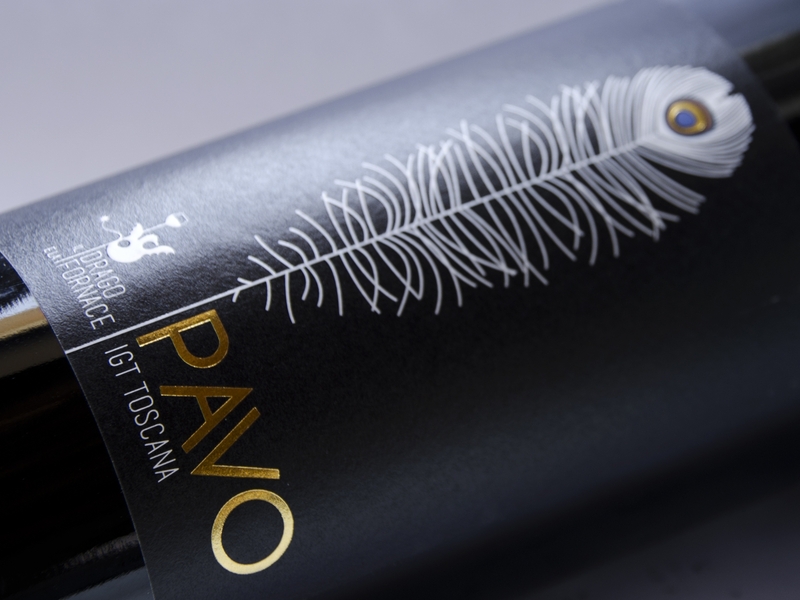 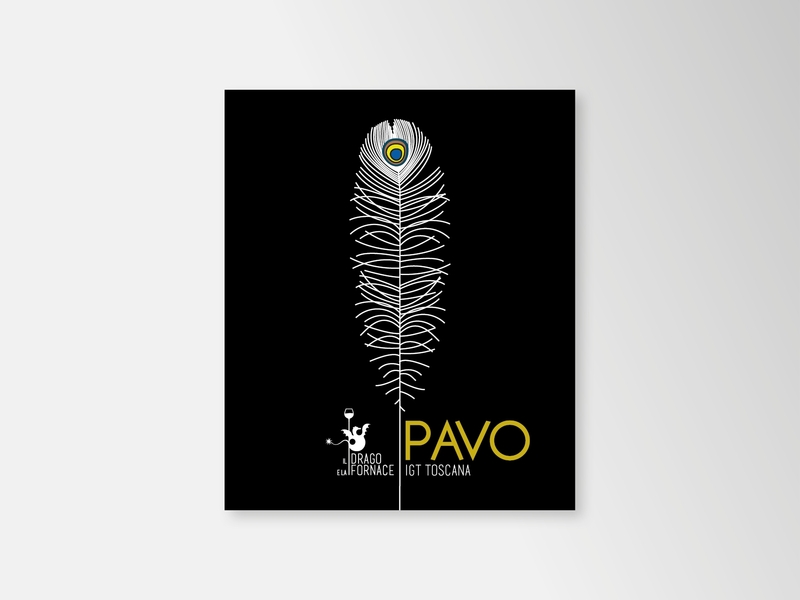 In this case, what have inspired the graphic aspect and the name of the Pavo wine is a peacock feather, an animal particularly dear to the farm “Il Drago e la Fornace”. 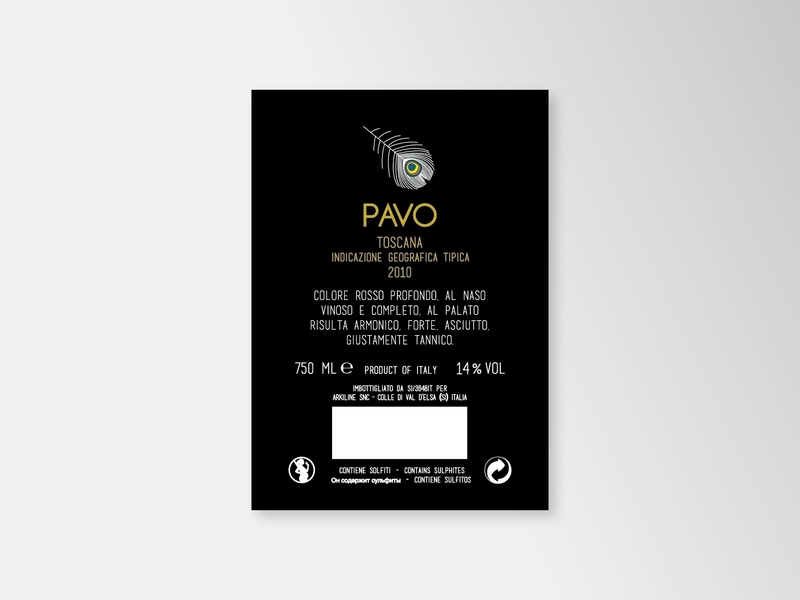 Natural paper, flat-colored printing, hot foil gold on the eye of the feather and on the name, shiny glossy braille on the white parts.